Alternatively, please email or telephone us with your enquiry or booking. Click the 'Reserve' or 'Book' button to book the highlighted days: . With Book the booking will be confirmed immediately; with Reserve the reservation will be confirmed within 24 hours. 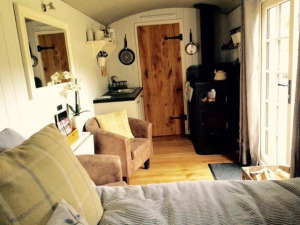 Mid Wales Luxury Shepherd's Huts sometimes limits bookings to 3 or more days. Children are accepted from 2 years.